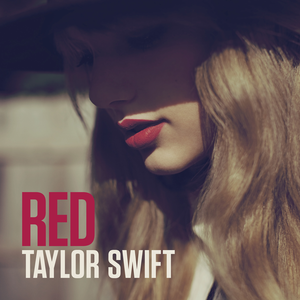 Taylor Swift Red, iPad Mini, Bose AE2, and Flexible work environments | Dave Mora Blogs! I might be one of the few guys opening willing to admit that enjoy most of Taylor Swift Songs and her latest album Red just ads more Taylor Swift songs to my @Rhapsody playlist. I tend to tease my wife for being an Apple Fangirl. But, while I am here at work enjoying my new Bose AE2 over the ear headphones. I have come to realize that I can officially be called a Bose Fanboy. It all started when I got me a pair of Bose Companion® 2 multimedia speaker system. The speakers where a needed upgrade and I started to enjoy music, games, and movies on my computer desktop. The sounds that played back are cleaner and the beats sound deeper. (Yes, I know I just sound like a commercial). Then my search for my in ear headphones began. While most people have the ability to pick headphones due to style and price. I was not. I have come to accept the fact that I am will always be the small percentage outside the norm. For example, all headphones are designed to fit 70% of peoples ears without any problems. I am one of the 30% that has issues with in ear headphones. When it comes to in ear headphones I can’t keep them on for more then 30 minutes before my ears hurt or get irritated. I tried every brand and style and I the Bose IE2 audio headphones are the only pair that let me enjoy music for hours without irritating my ears. The only drag is the price. But, if you get this pair. Fill out the warranty card and return it. Because, if they rip or go bad. Bose has been good in replacing them for free, a small fee, or at 70 percent discount. All roads have lead to Bose. A while back I accidentally stepped on pair of over the ear headphones I had. I broke them. They were really cheap Sony headphones but me being the sentimental guy cherrish these headphones. I bought back when I was still in highschool. They where my trusted headphones that I used when I uses imagine I was a DJ late at night when I was 16, the ones I plugged into my AMP when I played my out of tune guitar, the ones I would plug into my Sony Discman and listen to music, the ones I first started to plug into my computer during long ours of night gaming sessions. Breaking my headphones was as painful of having to break a love ones heart. Over dramatic? Yes, it is but damn it. I really loved those headphones. So, like anything I started to look for a replacement. And just, like the in ear problem. This “Cabezon” once again wasn’t able to just pick a pair based on style or price. I started to deal with headphones that hurt my entire ear, after a few hours of use felt heavy and hurt my neck, did not allow for proper air flow and made my ear feel hot and unconfortable, sound leakage where the people next to me could clearly hear the music I was enjoying, and to the most annoying part where the headphones pressed against my head giving me a headache. Yes, even when it came to headphones I sound all I do is complain about everything. Trust me when I say that I tried them all. I really thought I found a keeper when I came across the AKG K-142 headphones. They did feel better then the Dre Beats and sounded better then other brands but they just did not feel as comfortable as my old low end Sony headphones I came to love. I was buying and returning so many different headphones that I am sure the stores got tired of me. They probably started to wonder if I was trying to have headphones without really owning them. So I gave my pursue to headphones rest until I came across a store display for the Bose AE2 headphones. It was music to my ears. No really. I put them on and hit play on the store display. Not only did it provide the sound clarity I have come to expect but, the headphones felt like they were designed for me. They feel great, sound great, they don’t hurt my ear, give it that nasty ear headphone sweat, or annoy the people around me with sound leakage. I felt like the scene in Waynes World. Telling the headphones they will be mine. So today I made good on that promise and I am the proud owner of my very own pair of the Bose AE2. So, I guess the world now has an iPad Mini? One of the hidden perks of working London hours when living in Los Angeles is that don’t get overloaded with seeing Apple posts every minute on every tech blog or news site for that matter. I get to enjoy the internet after it is all over and I get to actually see the Apple Keynotes instead of reading what other people heard or saw. So, you want to learn more about what Apple announced today. Please feel free to head over to Gizmodo or The Verge to get the know how. But, for me the Apple event was a big let down. Full disclosure. I am PC guy and one of the few and proud with a Windows Phone 🙂 I am not bias #justsaying. I do like the updates that the did with the iMac, iPad, Mac Mini got. But, the iPad Mini could be more for that price. For 329 why no Retina Display? For 329 I wanted to have a Mini version of the (Latest Generation iPad). In all honesty The iPad Mini is the Mini version if 2 generation old iPad. Looking at it from that perspective why not make the Man Mini 229? or better yet. 199 with only 8GB storage. But, that was not why I felt let down. I do think the Macbook Pro’s with a Retina display are great. But, I don’t see them as Mac Book Pro’s. The moment you remove the drive and tell me I can only get it with option A or option B it removes no longer feels like a Pro product. When the so called Macbook Pro with a Retinal display came out. It felt it was a thicker Macbook Air. But, you can’t have a new generation thicker so they decided to just slap the Mac Book name on it and make it part of the Pro since it comes with a Retina display. I am starting to feel that Apple is starting to have a hard time leaping ahead along side their product cycle schedules. I am not saying is a bad thing. Their stock is not at 700 dollars per share because they are doing something wrong. But, when I see them selling an iPhone 4, 4s, 5 or an iPad 2, an iPad (3) an iPad 2, and the new iPad Mini the small version of the old iPad 2 is making me loose that feeling that you on Christmas day eagerly going to see what the new toys will be. Also, all the sites hyping up the next products with the so called rumors for months prior to the actual event doesn’t help either. If you listened to me back in 2008 when I stated the future of Apple will go back to the way of the Apple II when they state much memory you will get and this how much disk space (as in memory chips for storage) you can have and their is nothing you can do. Not even buy more RAM or Larger Harddrive because the boards will not have an option because memory and storage space will be determined by the chips on the logic board. If you bought SanDisk stock at 5+ bucks back in Nov 2008 – When I implied that once Apple goes to all chips for your memory and main storage space and the only way you might get large storage such as 1TB, 2TB, or 3TB will be via external drive. Please feel free to send me Coffee Bean giftcard. Assuming you stuck with the stock. Flexible work environments are the best perks an employer can offer. A few years ago. I started to get invited to visit many of my favorite brands because either friends work at such companies or the companies welcomed me for a friendly tour. We have all heard about the cool things some companies offer from Quiet Rooms to silly areas where you can try and re-live your childhood activities. Recently as more companies are moving into a web / cloud system. Many, employers have started to offer the ability fro employees to work more or more often outside of the office. I recently read “70% of Employees Regularly Work Out of the Office” on Mashable and it made realize how much I wanted the freedom to work where I wanted to work in my last job. My job function depended on 3 things (Internet Connection, Headset, and well I guess my job function only depended on 2 things) and I could have worked almost anywhere. Home, Library, Coffee Shop, Friends House, and even outside enjoying the outdoors assuming I had a good wireless internet connection. At my current job. I have somewhat of a flexible work environment. The small ability to work from anywhere I want as long as I have an internet connection has really allowed me to enjoy my job. I wonder how many people who feel somewhat jaded with their current employer would feel happier given the ability to work from home once or twice a week.